Be on-trend this season with the striking Tile Print Floral Print Layer Jumpsuit. The jumpsuit features thin strap detail, adorned with an overlay top. 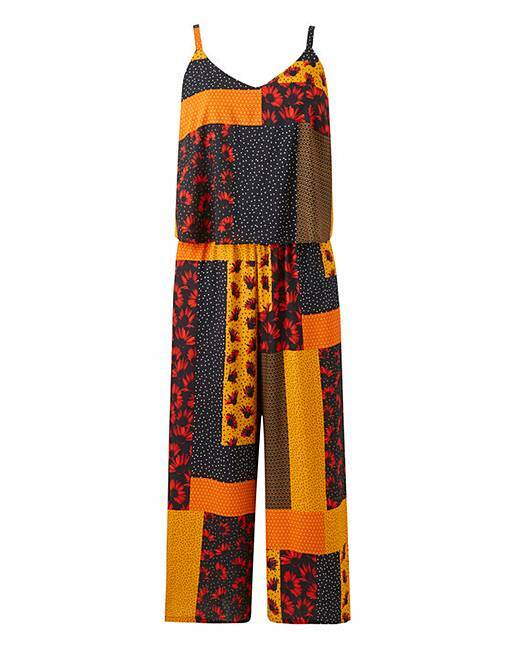 The all-over tile print accentuates the jumpsuit's on-trend culotte style and flattering wider leg. Pair with simple strap sneakers for a cool trendy look.